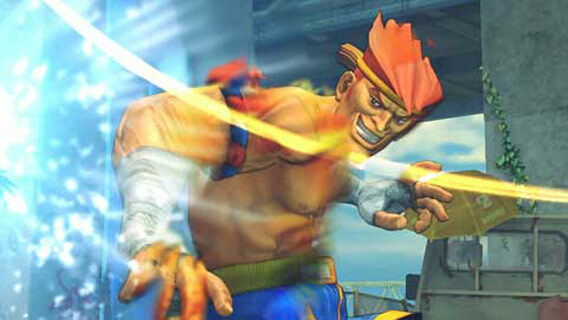 A translation of the most recent SSF4 blog changes has been posted for Dhalsim, M. Bison, Akuma, T. Hawk and Adon. • Down-Back + Crouching Medium Punch has faster startup and less recovery time. Now this combo is possible, Down-Back + Crouching Medium Punch 2x into EX Yoga Flame. • Faster startup time on the EX Yoga Flame, making it comboable from Medium Punch and Kick normal moves. Damage was reduced from 180 down to 120. • Yoga Inferno (Super) damage was reduced to 300, down from 350. • During back dash, airborne frame comes immediately after invincibility frames end. • We looked through his damage again, and as a result he was nerfed a bit, but there are changes beneficial to Dhalsim in other parts of his game. He has a huge diversity between a good match-up and a terrible match-up, but he has strong potential in himself. • If you hit with Standing Hard Kick from the knee up it does 80, if you hit with it from the knee down, does 110 damage. • Crouching Light Kick's hittable box was made slightly larger, making it easier to counter. • Light Scissor Kicks push back further when blocked, making it harder to punish him, but also making it more difficult to keep pressure on with Crouching Light Kick afterwards. • Super is projectile invincible during its active frames. • Ultra 2 is now a charge command, damage was also increased to 450. Was previously 420. • Comparatively, he is above standard in terms of a character's strength, but he's more dependent on players' skills due to the adjustments. 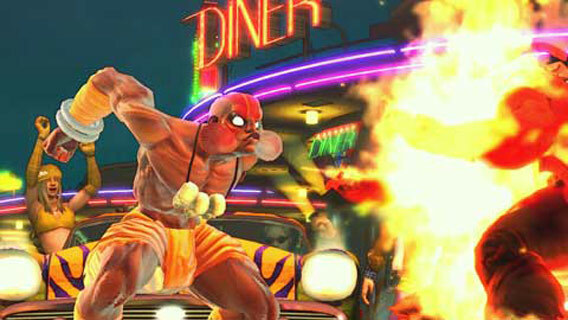 • Medium Punch Shoryuken's invincibility was lengthened, now he is completely invincible for the first 5 frames. • Air Hurricane Kick's jump arc was changed, so running away with it is impossible. • EX Hurricane Kick damage and stun were reduced. • His Ultra 2, when Canceled during teleport only, has bigger hitbox downwards. Standing Hard Punch, Teleport into Ultra 2, is possible now. • Considering balance, the runaway tactic with his Air Hurricane Kick was removed, but other things can be done as you currently can, so you will be able to apply your skill in SSF4 to SSF4 AE as well. • Close Standing Hard Kick's recovery time reduced, and changed frame advantage to be +4 on hit. 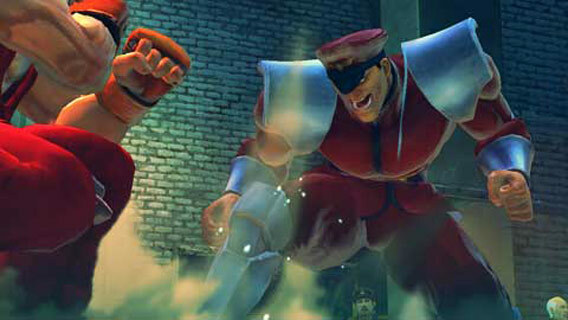 • Far Standing Hard Kick's hitstun and blockstun were increased, making it harder to punish. • Neutral Jumping Hard Kick has slightly more active frames. • EX Condor Dive can be used by itself now, by pressing all three Kick buttons. It's different from the regular version, as you can do it while jumping backwards as well, and it's invincible to projectiles until its active frames end. • Light Punch Condor Spire's hitbox was extended forward. • Condor Spire's meter gain upon activation was increased. • Increased his Super's grab range to be the same as his Light Punch Mexican Typhoon. Was previously 1.35 range and is now 1.5. • Ultra 2 has a faster startup time, and its invincibility window was lengthened and it remains active longer, making it very easy to use as an anti air attack. • A solid buff was applied to Specials, Super and Ultra, and some tweaks were made to his normal moves. Basically, there are only buffs, so it'll be easier to face casts that were bad match-ups in SSF4. 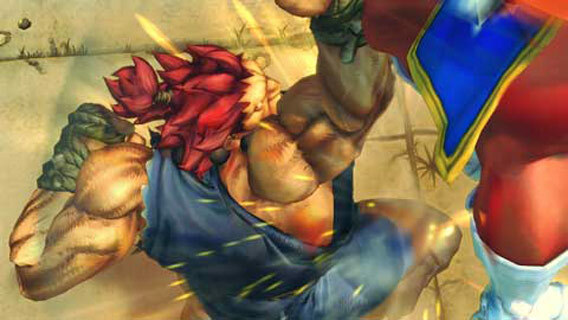 • Many of Adon's normals were buffed. • Crouching Light Punch, Close Standing Medium Punch and Crouching Hard Punch all had changes made to their frame data. • Close Standing Medium Punch, on hit, will have a frame advantage of +6, so it's possible to Link specials moves to combo, although it's still not Cancelable. This move was -1 on hit in SSF4. • Far Standing Light Punch, Far Standing Medium Punch and Crouching Medium Punch were given bigger hitboxes. • EX Jaguar Tooth will not do the yellow EX Flash until he gets to the wall and is invincible to projectiles until grounded. • Medium Jaguar Kick's hitbox was changed, so Close Standing Hard Punch into Medium Jaguar Kick will register as a combo. • Super's (Varied Assault) startup changed to 7 frames, down from 9 in SSF4, and the first hit's hitbox is extended downward more. • Wakeup time was nerfed. 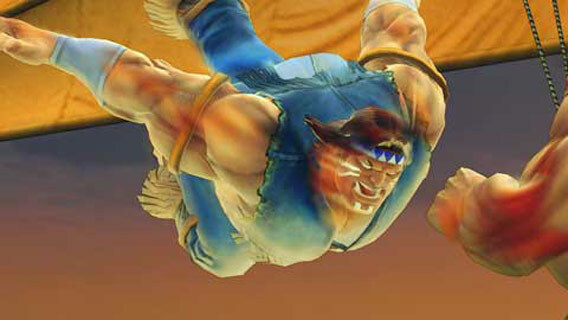 Adon now takes longer to get up off the ground than he did in SSF4. • His buffs are centered around using his normals, so he will be stronger while on ground.